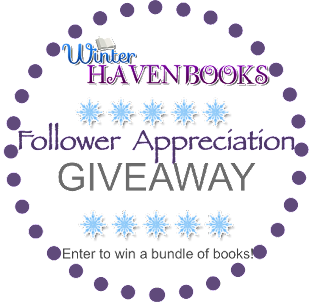 WinterHaven Books: Blog Tour: The Radiant Road by Katherine Catmull! 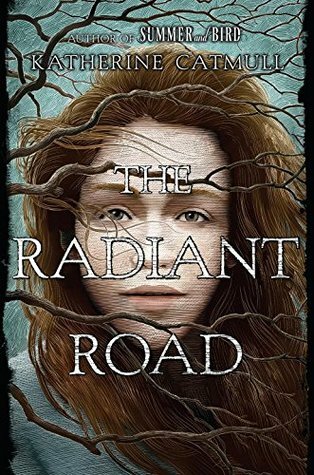 Blog Tour: The Radiant Road by Katherine Catmull! Today on WinterHaven Books I am joining in the blog tour for The Radiant Road by Katherine Catmull! I am so excited to jump into this world because I love all things fairy and this sounds right up my alley! As part of my tour stop I have the amazing Katherine Catmull with us for a fun game of Would You Rather! Would you rather eat pizza or Mexican food? Mexican food. I am one of those boring celiac people, so Mexican food gives me more options. But also I live in Austin and migas, y’all. Would you rather watch a thriller movie or a comedy? Hmmmm. Depends on my mood, and what you mean by thriller—I love a good non-explosion-y thriller. If I look at my viewing honestly though, probably comedy. But a really GOOD comedy. Would you rather go to dinner with a vampire or a werewolf? . . . . werewolf? I feel like I’m more of a werewolf, personally: so nice, so polite, so friendly, NOW I EAT YOU. Also, a werewolf and I could chat about interesting local hikes—whereas a vampire would just be snarking about my clothes all night. Would you rather be snowed in or trapped in by a rainstorm? Easy for me to say “snowed in,” as I’ve never been snowed in—though we do have ice days sometimes in Austin, and if you’re all set for food and have power, nothing’s lovelier. So: snow! Would you rather eat sweet or salty? Salty. Not that I’ll turn down a good chocolate chip cookie. Cold. I hate being hot, just hate. I live in the wrongest possible place, in that regard. Would you rather read a scary book in the dark or in the daylight? Daylight! My mind provides plenty of it’s own dark. Would you rather stay out til the wee hours of the morning or be in bed by 8? Would you rather have access to as many books as you want for 5 days only or only have 5 books to read the rest of your life? This is the worst question anyone has ever asked me. It makes me want to cry. But if I must choose I’ll pick five books to read the rest of my life—as long as I can pick the books. I’d go with “The Collected Shakespeare,” a twenty-pound poetry compilation, things like that. Book! 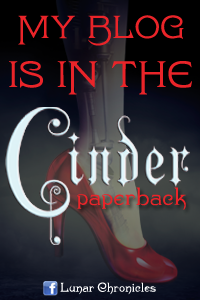 Come on, if it’s a decent book, the book is always better. Would you rather run or walk? Walk. I keep trying to run and . . . no. It makes me cross. I’m a brisk walker, though. I’m kind of a loper. Cat. But dogs look lovely; I’d really like both. Between traveling and theater (I’m an actor), I fear I couldn’t do right by a dog. Cats are fine with “see you tomorrow, maybe the next day!”—dogs not so much. Would you rather cancel cable or twitter? Twitter I guess? Tough call. I like Twitter, though I’m kinda bad at it myself. Would you rather watch a 90's sitcom or one from the past 10 years? Past 10 years. Comedy is infinitely smarter and cooler than it used to be. Would you rather color in crayolas or markers? When I do color I seem to use markers, mostly, so maybe that’s the answer. Crayons are hard! Would you rather write notes by hand or type them on a computer? Teas are good when I want to drink pots and pots of something. But normally: cofeh all the way. Would you rather eat a Milky Way or a Butterfinger? Milky Way, though it’s not much of a choice, tbh. Where’s my Baby Ruth at? My Payday? Would you rather party on Halloween or New Years? New Years. After all this time in theater, getting dressed up as someone else doesn’t feel all that special to me. But I love people getting together to cross a threshold together with celebration and hope. Also: any excuse to drink champagne. Halloween should up its beverage game. Would you rather wear make up or go with none? I would rather be better at applying makeup! For nicer events (and, uh, theater), I try. But I guess I’m bad at makeup because I lose interest so quickly, so: none. Would you rather spend a day at the library or the beach? Tough call. Can I say day at library, NIGHT at beach? I love oceans, not that crazy about sun. And books are everything. Would you rather cuddle with a bunny or baby monkey? Ohhhhhhhh. [Loses twenty minutes imagining both.] I guess bunny. A bunny seems more likely to stay put for cuddling. Would you rather sit next to a famous actress/actor or a book character? BOOK CHARACTER, ARE YOU KIDDING?? Would you rather know your future or be surprised? This one seems like it ought to be so much harder than it is. I am one of those people who obsesses about what’s coming next and how can I prepare and how can I make it be what I want. I don’t think much about the past—I’m all about what’s coming. But now that you ask, I realize I’d far rather be surprised. I love surprises. Knowing would spoil everything. I think that when I’m in WHAT’S COMING NEXT mode, it’s actually anxiety. I don’t really want to hear what’s next—I want to be told “everything’s okay.” Which is not actually the same thing. Wow, I feel like I just had a revelatory therapy session: thank you! Katherine thank you sooo much! I have to admit I laughed so hard throughout this and I squeed big time because I live in Austin too!! Everything you said about our crazy town was right and I am with you on the heat lol! Great interview, but now I'm craving a salted caramel cookie... lol. I love the synopsis of The Radiant Road - Ireland, magic and a mysterious boy?! 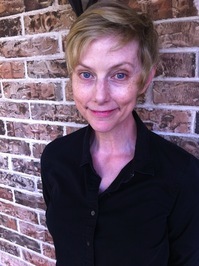 Blog Tour: Interview with Alison Goodman!